Hunger is a worldwide problem, including in the United States where one in eight Americans statistically faces hunger daily. Plant A Row for the Hungry is a program adopted by the Garden Writers Association from a successful program started in Alaska by Jeff Lowenfels. Since 1998 Fred Pinkney and other staff in the Chesapeake Bay Field Office of the U.S. Fish and Wildlife Service in Annapolis, Maryland, have devoted lunch breaks and after hours voluntarily in A Plant A Row garden on the premises. 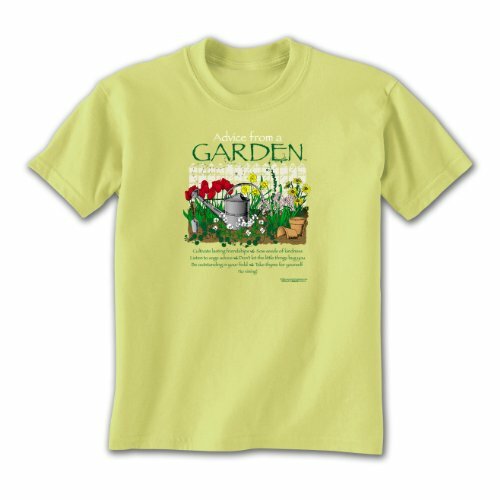 happen to be governmental employees in Annapolis, Maryland, and whose inspiration is a nonprofit association of garden writers in Canada and the United States. 1. "The uneasy or painful sensation caused by want of food; craving appetite; also the exhausted condition caused by want of food." 2. "The want or scarcity of food in a country, etc. ; dearth; famine." The third definition is figurative, for it presents connotations, which are the broader associations evoked, imagined, implied, or suggested by hunger. 3. "A strong desire or craving." All three definitions basically describe a strong feeling which is experienced as a result of lack. The difference between the first and second definitions is the scale of the experience of hunger. The first difference does not quantify the experiencers whereas the second definition specifies a progression of victims -- "in a country, etc." -- that ultimately may escalate to global proportions. Cherry tomatoes at Chesapeake Bay Field Office's Plant A Row for the Hungry: daycare kids participate in tackling hunger by harvesting tomatoes for CBFO. The Garden Writers Association (GWA) was started in 1948 by the association's founder and first president, Henry L. Pree (1888 - 1969), a landscape architect in Cleveland, Ohio. A non-profit association, GWA's membership numbers over 1,800 professional communicators on environmental, gardening, and horticultural topics in the lawn and garden industry. Members encompass diverse backgrounds ranging from horticultural consultants and photographers to landscape designers and architects. The largest percentage, 36.3 percent, are freelance writers. Bean's Café was incorporated in February 1979 as a center for providing meals to the hungry, shelter to the homeless, and information/referrals to health and human service programs. "Cheerful candy cane finger nails of an Alaskan, Bean's Café volunteer worker, Anchorage, Alaska"
In 1995 GWA adopted a program envisioned by Anchorage attorney Jeff Lowenfels, who served as GWA president from 1993 to 1995. As a result of a twinge of conscience over refusing to give spare change to a homeless man on a frigidly cold night in Washington, D.C., Jeff had suggested through his weekly garden column in the Anchorage Daily News that readers plant a row of vegetables and donate the produce from that row to Bean’s Café, an Anchorage soup kitchen. The phenomenal local success of Plant a Row for Beans was translated quickly into national success as GWA's Plant a Row for the Hungry (PAR) and into international success through collaboration with a similar Canadian program, Grow-A-Row. In 2002, GWA established the Garden Writers Association Foundation as a 501(c)(3) educational charity, with one of its objectives being to "seek to reduce hunger through expansion of public participation in the Plant a Row for the Hungry program." In the United States, PAR now has a strong presence in all fifty states. Each pound of produce is calculated as supplementing four meals. Since 1995, over 16 million pounds (7,257,478 kilos) of produce, providing over 60 million meals, have been donated by American gardeners through PAR. This considerable accomplishment continues to be achieved voluntarily by people from all walks of life who give of their time and resources to help others in need. "to conserve, protect and enhance fish and wildlife and their habitats for the continuing benefit of the American people." Its specific mission is to protect endangered species and habitats in the area of the Chesapeake Bay, which, as a partially enclosed coastal body of water with oceanic confluence, is the largest estuary (Latin: aestus, "tide, boiling [of the sea]") in the United States. In 1998, avid gardener and CBFO environmental contaminants biologist Fred Pinkney proposed the dedication of a sun-drenched, unused patch of turf alongside the parking lot to a program which recently had come to his attention, Plant A Row for the Hungry. About ten other CBFO employees joined Fred in setting up a 25- by 25-foot garden. The commitment of Fred Pinkney and his Chesapeake Bay Field Office colleagues is exemplified by their harvesting and delivery of produce even as Hurricane Floyd, the third major hurricane in the 1999 Atlantic hurricane season, bellowed its fury along the eastern seaboard. Forming as a Cape Verde hurricane, generally the largest and most intense type of tropical storm, on September 7, 1999, Hurricane Floyd pummeled The Bahamas and made landfall near the border of the Carolinas on September 15. On September 16, Annapolis was drenched with almost 12 inches (30.48 centimeters) of driving rain and pounded with furious winds at 65 miles per hour (104.6 kilometers per hour). About five miles (8 kilometers) east of the Chesapeake Bay Field Office, the famed 400-year-old Liberty Tree, a tulip poplar (Liriodendron tulipifera), was damaged beyond saving by Hurricane Floyd's brutal winds. With the last harvest on September 24, the total donation to the food bank and local shelter amounted to 209 pounds for the 1999 season. "Today we harvested 14 lbs. of produce from the CBFO garden. Final destination: the Lighthouse Shelter in Annapolis. Zucchini, basil, tomatoes, cukes and peppers." In 2014, seventeen years after inception, the Plant A Row for the Hungry garden still thrives in its patch next to the CBFO parking lot. The garden is tended voluntarily over lunch break and after hours. An automatic timer efficiently controls watering in the early morning. Plantings include cucumbers, eggplants, melons, okra, peppers, pole beans, yellow squash, tomatoes, and zucchini. In the first decade, from 1998 to 2008, the garden produced 3,000 pounds of cucumbers, melons, peppers, squash, and tomatoes. On June 27, 2014, the garden yielded 22.5 pounds (10.2 kg) of basil, cucumbers, patty pan squash, and yellow squash. 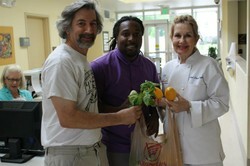 The healthy harvest was donated to Annapolis' Light House shelter. Each harvest is earmarked for the Anne Arundel County Food Bank and to a local shelter, Light House. 2014's June harvest at Chesapeake Bay Field Office's Plant a Row garden includes patty pan and yellow squashes. Conclusion: A 17-year commitment by U.S. Fish and Wildlife employees at Chesapeake Bay Field Office underscores the ease of community involvement in tackling hunger. On July 5, 2011, CBFO posted a delectable image of the first eggplant of the season on their Facebook page. Also a harvest of 14 pounds was noted. The bounteous fare, which was detailed as basil, cucumbers, peppers, tomatoes, and zucchini, was duly delivered to the Light House homeless shelter in Annapolis. According to the Garden Writers Association, over 84 million households in the United States have a garden or a yard. If every potential garden were cultivated with the allotment of only one extra row for donation to local food banks and soup kitchens, a significant impact would be made on reducing the problem of hunger, which affects 37 million Americans, of whom almost 14 million are children. Statistically, one in every eight Americans is faced with hunger each day. In addition to household gardens, other community resources are available for tackling the serious, often hidden, problem of hunger. The Plant A Row for the Hungry garden at the Chesapeake Bay Field Office of the U.S. Fish & Wildlife Service in Annapolis, Maryland, spotlights the creative, humanitarian use of public land and the impressive endeavors of government employees for the benefit of those in need. This commitment entails unpaid contribution of resources and time in addition to startup expenses, which amounted to $150 in 1998 for the CBFO volunteers. "Participating in the Plant A Row program fits right in with our conservation ethic. Using some of the office grounds to help feed hungry people is consistent with our office's goal of contributing to the community and the staff's personal goals to help people in need." 1In addition to his efforts at Chesapeake Bay Field Office, Fred Pinkney was instrumental in establishing an 800 square foot organic Mishnah Garden at Adat Shalom in 2010. The total harvest of 136 pounds was donated to Manna Food Bank, the local food bank. In 2011, the harvest of 160 pounds from the Mishnah Garden was supplemented with 38 pounds from congregants' gardens to yield a total donation of 198 pounds to Anne Arundel Food Bank, Manna Food Bank, and Open Arms. June 27, 2014: Fred Pinkney presents harvest to Light House staff, Linda Vogler, Executive Chef and Director of Culinary Arts Training, and Marcus Grant, Culinary Manager. Cantwell, Si. "Plant A Row helps gardeners feed the needy." Star News Online > Columnist, Saturday, July 18, 2009. Crane, Magan. "Volunteers Lend Green Thumbs to Worthy Cause." The Capital, September 17, 1999. "Feeding the community." Fish & Wildlife News, October/November/December 2001: 35. "hunger, n." Oxford English Dictionary (OED) Online. Electronic version of: Oxford English Dictionary. 2nd edition. New York: Oxford University Press, 1989. Lappé, Frances Moore; Collins, Joseph; and Peter Rosset with Luis Esparza. 1998. World Hunger: Twelve Myths. New York, NY: Grove Press. Lindley, John. Ladies' Botany: Or A Familiary Introduction to the Natural System of Botany. In two volumes. Vol. I. Fith edition. London: James Ridgway and Sons, 1848. Lindley, John. Ladies' Botany: Or A Familiary Introduction to the Natural System of Botany. In two volumes. Vol. II. Fith edition. London: James Ridgway and Sons, 1848. McKinney, Debra. "Uprooted Man." Anchorage Daily News, January 15, 2006. Reshetiloff, Kathy. 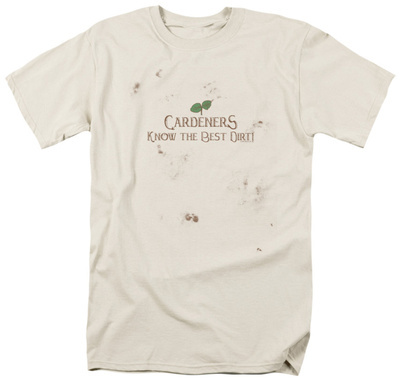 "Office Staff Digs in for a Worthy Cause." Fish & Wildlife News, January / February 2000: 12. “U.S. Fish and Wildlife Service, Dept. of the Interior, Chesapeake Bay Field Office.” Annapolis Patch > Government. Planck LLC d/b/a Patch Media. Web. 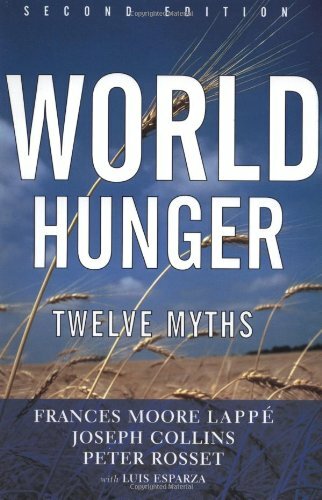 Twelve Myths shakes many tenaciously held beliefs; but most important, it convinces readers that by standing together with the hungry we can advance not only humanitarian interests, but our own well-being. advice: Cultivate lasting friendships ~ Sow seeds of kindness ~ Listen to sage advice ~ Don't let the little things bug you ~ Be outstanding in your field ~ Take thyme for yourself ~ No Vining! Psiphon for PC, Thank you! The Boston Tea Party ushered in a period of herbal tea drinking in Colonial America as imported tea via the East India Company became a symbol of taxation without representation.